Nothing terribly exciting happening in my neck of the woods. well BEGGED them to please remember what I’ve been saying since the first day of school. I don’t know WHAT to do with a small group of my kiddos. I’ve told 2nd grade that I’m sorry. I have tried EVERYTHING short of bonking heads. 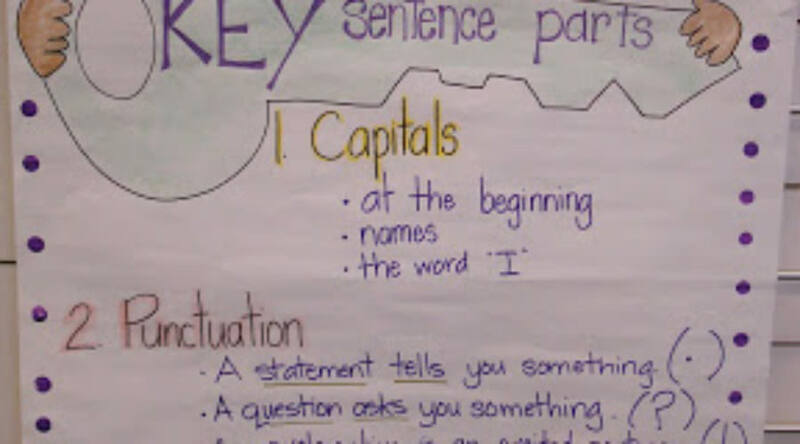 A few of my little ones are still struggling to remember the 3 basic parts to a sentence. If I read another 2 page story without proper capitalization or punctuation I’m gonna lose my mind! A few firefighters came to our school today and did a little presentation for our firsties. It was loud. A bit out of control. Made me shake a tad. Those kids wouldn’t even hush up for firefighters! Summer break is so close. They had fun, though. The little gold sticker/badges just made their day! Did you know that The Dollar Tree loves me? 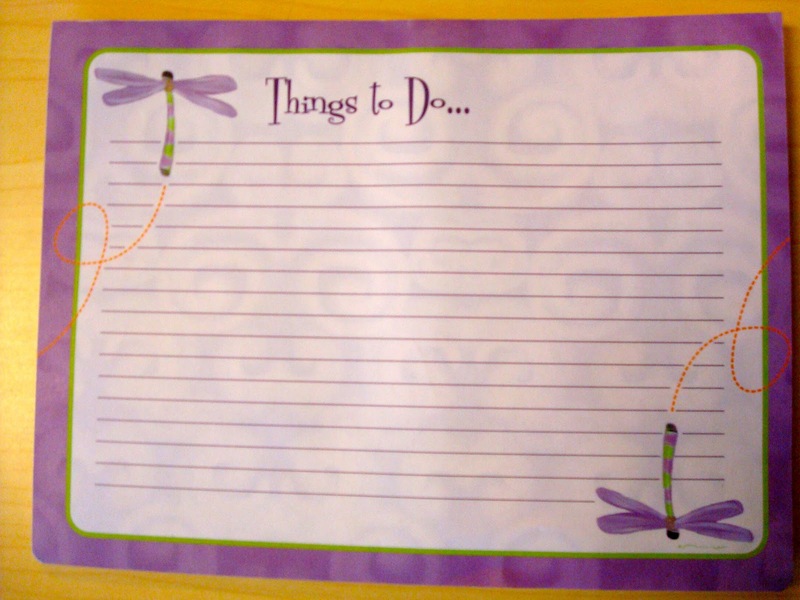 Huge dragonfly notepads. There were only two dragonfly ones left. I bought both. I am kinda tempted to visit another Dollar Tree and look for more… just because I have such a hard time finding cute dragonfly stuff. Loving those note pads! Get some more! All I can focus on is that dessert! It looks amazing. 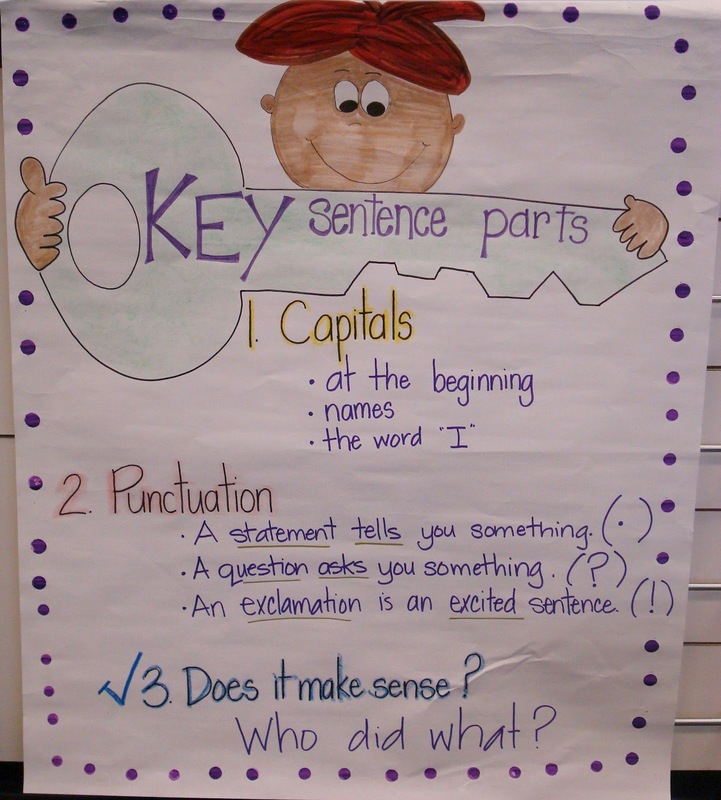 I love your key sentence part anchor chart! I have to make it to use for next year. Thank you for sharing. I am one of your newest followers.I have passed on the Lovely Blog Award to you. Check it out on my latest blog post.